Axis and cable assignment for PICA shear actuators. 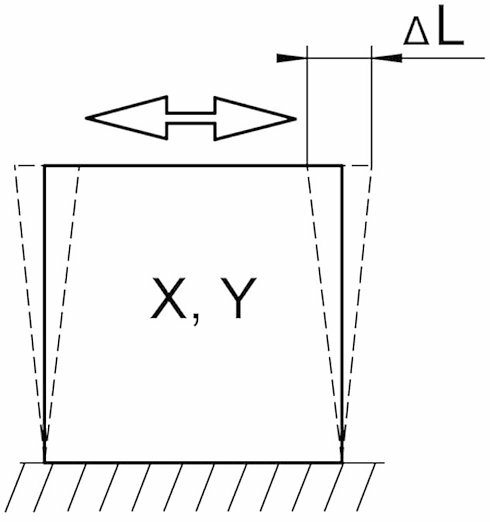 GND: 0 V, +: ±250 V.
Principle of shear motion. DL refers to the travel range. 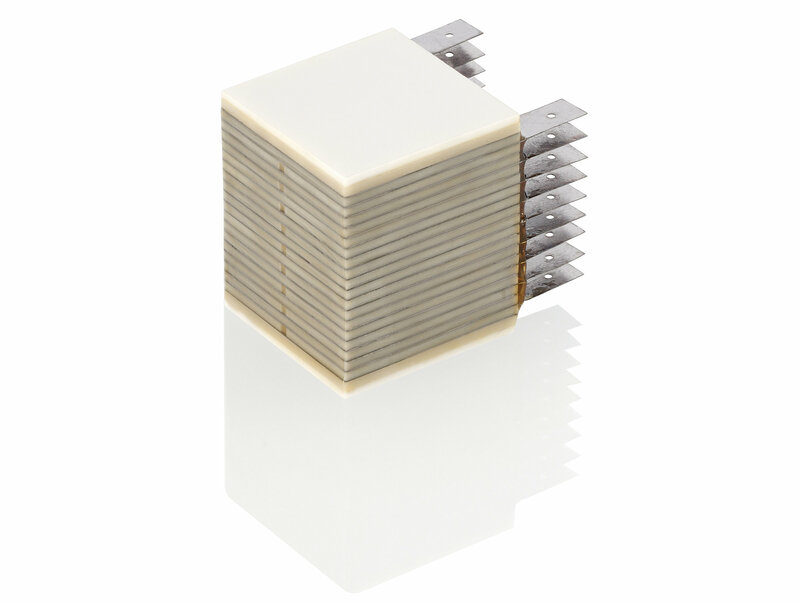 Operating voltage -250 to 250 V. Suitable for use in cryogenic and UHV environments to 10-9 hPa. Lateral displacement is based on the piezoelectric shear effect. Excellent dynamics with minimum electric power requirement. Variants for multi-axis motion, also with inner hole. Mechanical interfaces: flat, spherical, metal, ceramic, glass, sapphire, etc. Travel range: At -250 to 250 V, measured at room temperature. Value is reduced at lower temperatures. Tolerance ±30 %. Electrical capacitance: Measured at 1 Vpp, 1 kHz, RT, tolerance ±20 %. Axial resonant frequency: Measured at 1 Vpp, unloaded, unclamped. The value is halved for unilateral clamping. Standard connections: Ta. contacting with conductive adhesive possible. Operating temperature range: -269 to 85 °C. Temporary short-term bakeout to 150 °C only when short-circuited. 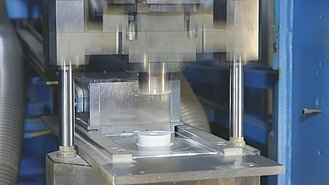 Piezoceramic compacts are manufactured from spray-dried granular material by mechanical hydraulic pressing. 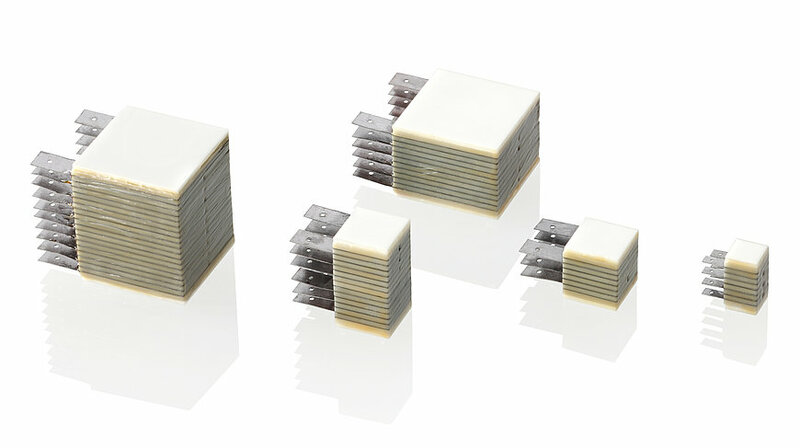 The compacts come in different shapes as disks, plates, rods, and cylinders.